A quick change of stance after Labour MPs block China expert from speaking at select committee. Labour MPs have backtracked on their decision to block China expert Anne-Marie Brady from speaking at Parliament after push-back from the Opposition. Professor Brady had asked to address MPs about foreign interference in elections as part of a justice committee inquiry, but the request was turned down yesterday when the four Labour MPs voted against it. A government spokesperson said the committee chair, Labour MP Raymond Huo, had a rethink overnight and the committee would briefly reopen submissions to the public later this year. Mr Huo declined to be interviewed by RNZ, but in a written statement he said he “welcomed” new submissions. He said yesterday’s decision to block Prof Brady was “purely procedural” and denied he had shifted stance under pressure. “That’s my own initiative,” Mr Huo said. However, just hours earlier Mr Huo made no mention of that position in a separate statement sent to RNZ. “As Committee Chair, I am satisfied that the correct procedure has been followed and that the [intelligence] agencies will keep the committee well informed about any issues of foreign interference that may arise,” he said. Public attention seems to have had an effect. Committee member and National MP Nick Smith yesterday called for the committee to reconsider, saying Parliament should hear from New Zealand’s most published academic around the risks of overseas interference in elections. Dr Smith this afternoon told RNZ he was pleased Mr Huo had had a “change of heart”, but said it was only because he had spoken out. Committee chairman and Labour MP Raymond Huo, who has featured in Brady’s work for his supposed ties to Chinese government representatives, defended the decision on Thursday, saying it was “purely procedural” given the close of public submissions. However, a spokesman for Prime Minister Jacinda Ardern told Newsroom that Huo had reconsidered the Labour MPs’ original decision upon reflection. He would discuss the inquiry at the committee next week, with a view to reopening it to public submissions from Brady and others. While the decision to prevent Brady from speaking had been procedurally correct, the spokesman said there was merit in hearing from her and any others who wished to submit on the issue of foreign interference. Neither Ardern nor anyone in her office had spoken to Huo about the committee’s initial decision, the spokesman said. Jacinda Ardern said on 1 News tonight that the Labour MPs had had a change of mind and she thought that was a wise change of position, but kept a distance from that change of stance. Entrench the entire Electoral Act so any change would require a 75 per cent majority in Parliament or a referendum. There were six entrenched provisions out of 315 in the act covering aspects such as the three-year term and the voting age of 18 but hundreds of others were open to amendment by a simple majority, he said. The entrenchment clause itself could be repealed by a simple majority. It seems to make sense to require more than a bare majority for amending electoral law, to avoid changes of convenience for the government of that day which tends to have not much more than a 50% majority. Seems sensible – but there is a risk that donors and parties would find a way around it. This probably should happen. Re-drawing boundaries without reliable up to date information seems to be a bad idea. Currently each local body manages their own elections. Some consistency might help – but what if people in different parts of the country want different things, like different voting systems? A referendum on a four-year term. The problem with our current short term of three years is that governments spend their first year getting a handle on the job, a year doing it and then the third trying to get re-elected. It would be logical to shift local elections to a four-year timetable two years through each Parliamentary cycle to keep a healthy separation of local and national elections. Is it a problem? Perhaps for parties who get into government and want to do more then the three year cycle allows – but is this a good thing for the public? The strongest argument I have seen is that a longer term would enable governments to do unpopular but (objectively?) good things, in the hope that short-term pain may have subsided in time for the election. There are obvious flaws with this analysis. This is a democracy, and politicians should seek mandates for their actions. And I simply do not accept that the vast majority of voters are unable to make tough choices if they are fairly presented to us; sometimes, others may not like the choices we make, but they are ours to make. And as unpopular as we are now told Roger Douglas’s reforms starting in 1984 were, the Government he was a part of was re-elected in 1987. I don’t really see that countries with longer terms are doing all that much ‘better’ that we are in this regard. The ability of economies in Europe to take ‘tough choices’ arising from the Eurozone crisis seems entirely unrelated to their electoral calendar. We are being asked to relinquish a very real measure of our democratic control for the vague promise of a better tomorrow. If someone want to make the case – with actual evidence – please do. Do democracies with longer terms actually have better long-term planning? What reason is there to believe that a four-year term will actually enable us to ‘fix’ anything that might be ‘broken’ with our system? And just because our three-year term is somewhat of an international outlier does not mean we should leap from the bridge that every other country has. Differences in the New Zealand political system strongly tell in favour of a shorter term. The push for a four-year term has failed at the ballot box twice. I don’t really remember the vote being held on either occasion, but it seems to me that those pushing change failed to convince enough people it was actually a good idea. It’s time for those who want this to actually convince a good sized-majority of everyone else that they are right. Like us Australia is supposed to have 3 year terms. I’m not sure that Australians would be keen on giving their governments a longer shot at stuffing things up. The US has four year terms for president, but seem to be keen on shortening that by impeachment. The rest of their electoral system is complicated. The UK has a five year term, unless a Prime Minister has a brain fart and calls an early election as happened in 2017, leading to the current Brexit mess. I’d like to see far more compelling reasons for changing from three to four years here, from people other than politicians wanting power for longer. It’s surprising to suddenly see that NZ First have a clause in their constitution that seeks to impose a $300,000 dollar cost on and MP who resigns or is expelled from the party. NZ First have a clause in their party constitution that tries to enable the party to fine any list or electorate MP who resigns or is expelled $300,000 at the discretion of the Board. (g) Upon a member of the Parliamentary Division ceasing to be a member of the Parliamentary Division because he/she has resigned from or has been expelled from the New Zealand First parliamentary caucus, or has ceased to be a member of the Party, then whether the member is a constituency member of parliament or a list member of parliament, he/she must resign his/her parliamentary seat as soon as practicable and in any event not later than 3 days after the date of cessation. and the Board shall not enforce the resignation obligation contract under this article 57(h) at any time that legislation exists which requires or determines that a member of Parliament to resign or relinquish his/her parliamentary seat upon the grounds contained in or similar to those specified in article 57(g). The $300,000 figure here clearly is designed to present an MP who leaves NZ First with Hobson’s choice. Either quit as an MP, or face ruinous financial consequences. And because the rule has this effect – it is designed to force an MP from Parliament – I don’t think it will be enforceable in court. And a rule of this nature only has teeth if there is a court that is prepared to, as a matter of law, make someone actually pay up the penalty figure. But it has become a thing today for some reason. National call it Revelations, which it clearly isn’t. It’s a rehashed story four years later. Revelations that Government MPs are required to sign a legally enforceable contract meaning they must pay $300,000 if they do not follow their Leader’s instruction is an affront to our parliamentary democracy, National’s Electoral Law spokesperson Nick Smith says. “The 2016 amendment to NZ First’s constitution states its MPs must pay damages of $300,000 if they personally disagree with Winston Peters, turning them into indentured workers with an extraordinary price tag hanging over their heads. “It means every time an NZ First MP votes or comments on an issue, they have 300,000 reasons why they should just parrot Winston Peters and not to speak out even if doing so would be in the public’s best interests. “This is abhorrent. These types of contracts are illegal in other workplaces and would be unconstitutional in most democratic countries, so why are they at the core of our current Government? They turn elected representatives into puppets of a party leader who is now attempting to impose the same restrictions on free speech on Parliament’s other MPs, in spite of universal opposition to the Waka Jumping Bill. “It is a sad commentary on the NZ First Party and Mr Peters that such draconian contracts are required to maintain caucus discipline – and now to keep the Government together. “It also contradicts Mr Peters’ previous hollow position that MPs ‘have to be free to follow their conscience. They were elected to represent their constituents, not to swear an oath of blind allegiance to a political party’. “The contracts were revealed after I was contacted by a concerned NZ First source who advised that all NZ First MPs had signed them except Mr Peters. “NZ First must publicly release the full details of these contracts, outlined in article 57 (h) of its constitution, so the public can see the restrictions imposed on its elected MPs. This is even more important with NZ First playing such a pivotal role in the current Government. “Disclosure is also required to be consistent with the Government’s pledge to be the most open and transparent ever, a claim looking increasingly ridiculous when even the Minister responsible for Mr Peters’ Waka Jumping Bill, Andrew Little, had no idea about the clause. “That’s despite his legislation increasing the legal weight given to party rules and his acknowledgement that MPs should be able to do their job with being subjected to such restrictions. “New Zealand needs MPs who are not bound by orders or instructions but whose responsibility is to act as representatives of the people. But they aren’t the only ones divided over the bill. National’s Nick Smith says Labour MPs on a select committee inspecting the Waka Jumping bill refused to consider amendments because Winston Peters wanted it to pass unamended. Labour and National MPs are bitterly blaming each other for the failure of the select committee to report back on Monday. The Electoral (Integrity) Amendment Bill would allow party leaders to expel MPs from their party from Parliament, if they could get the approval of two thirds of their caucus. List MPs would be expelled for good and replaced by the next person on the list while electorate MPs would be able to compete in by-elections. The Justice Select Committee was due to report back on the controversial bill on Monday but failed to do so. The committee is evenly split between National and Labour MPs, and would need to pass a majority vote to send the bill back to the House with a report attached. As a result the bill will go back to the House without any recommendations from the select committee. That should make it even harder for the Greens to justify voting for it, but they seem to have already capitulated. “The Labour members of the committee made plain that they were under directives as part of the agreement with Winston [Peters] for the bill to not be amended,” Smith said. It seems odd that NZ First are forcing Labour to support this bill unchanged when it appears to be important only to Winston Peters, in contrast to Peters giving up so easily on a popular policy for NZ First voters – see Government has reneged on immigration ‘promises’. Peters makes a big thing of letting ‘the people’ decide, for example on cannabis legislation. But on the waka jumping bill he seems to be against the justice committee from addressing issues in his bill. Labour MP and chair of the committee Raymond Huo said Smith was “throwing his toys” and could have put comments like that in a minority report had he allowed a report to be sent back. Huo said by holding back the report Smith was letting down his party and the submitters whose voices would now be lost. “He has not just let his party down but also the general public, including those submitters,” Huo said. “The Justice Committee is a very busy committee. We have enjoyed a strong level of collegiality, until, very frankly the arrival of Nick Smith,” Huo said. Or the arrival of the Winston waka jumping bill? After slamming the last Government’s sacking of the Canterbury regional council ECan, and of promising to quickly restore democracy, Labour is now in no hurry to act. The Government’s ECan Legislation is an affront to Cantabrians and continues to deny them a democratically elected regional council, says Labour’s Canterbury Spokesperson Megan Woods. “There is simply no logical, rational or compelling case for a system of regional government in Canterbury that is anti-democratic and radically different from other parts of the country. “This is not the return to democracy we were promised. This is a continuation of government control. “It has been six years since the Government sacked the regional council. It is time to put regional governance back where it belongs. That regional governnment has to be in the hands of Cantabrians. There is no justification for controlling Canterbury through appointments made in Wellington. “I have a Private Members Bill in the ballot to return to a fully elected council at this year’s elections. That Bill stays in the ballot because Labour backs Cantabrians to run their own region,” says Megan Woods. Our plan has eight crucial components, each demonstrating Labour’s commitment to get the region moving – and thriving. A return to democracy at Environment Canterbury (ECan) appears unlikely before 2019, despite Labour’s long-standing objection to the status quo. The last Government removed democratically-elected councillors in 2009 and replaced them with seven commissioners the following year. One of the sacked councillors, Eugenie Sage, is now Minister of Conservation. Despite promises by former Environment Minister Nick Smith to restore democracy in 2013, it was pushed to 2016. A full return to democracy was delayed again until 2019 – half the current council is elected and half appointed. During the election campaign, Labour said full elections would be restored “as soon as possible,” but it is understood that is unlikely to happen before 2019, when elections were expected anyway. The Labour-led Government has failed a crucial test in Canterbury. Despite making an election issue out of a return to full democracy at Canterbury’s regional council, Local Government Minister Nanaia Mahuta has confirmed to Newsroom it will follow the last Government’s timetable of waiting until next year’s scheduled local body elections. That’s little payback for a surge of support for Labour in Christchurch at last year’s election. The decision not to call early elections will disappoint many – including Mahuta’s ministerial colleague Eugenie Sage, who was one of 14 councillors sacked by the National-led Government in 2010, mainly over claims it was mismanaging water. Labour’s go-slow on Canterbury democracy even leaves it open to a swipe from ex-Environment Minister Nick Smith, who made the National-led Government’s decision, jointly with then Local Government Minister Rodney Hide, to sack councillors at Environment Canterbury (ECan). After this length of time without an elected regional council it makes sense to restore a democratic body during the Local Body elections next year, but Labour have failed to fulfil their promise. At least they haven’t set up an inquiry on this. 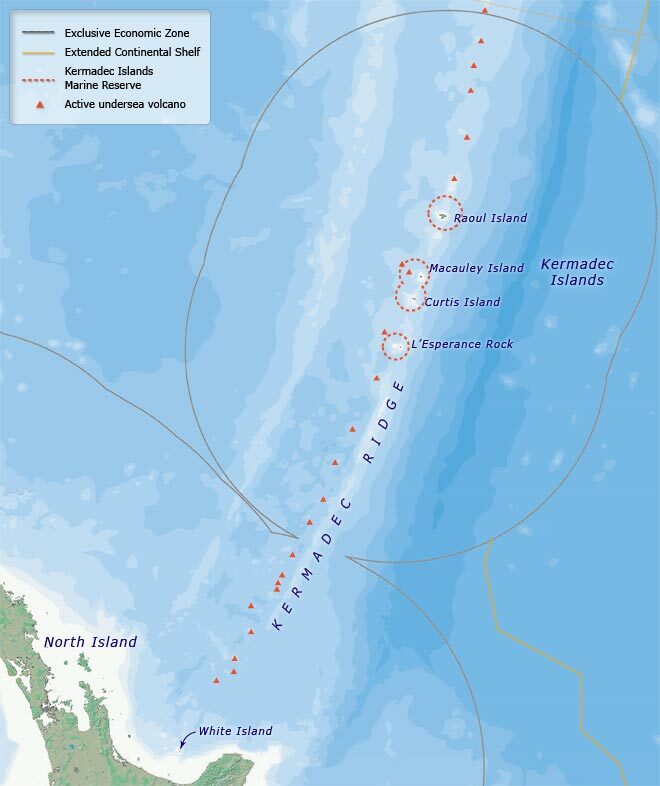 The previous National Government proposed a massive ocean sanctuary in the Kermadec area to the north of New Zealand. This hit problems largely due to a lack of decent consultation with Maori interests. The Green Party was caught between it’s enthusiasm for the Kermadec sanctuary – they had been pushing for one – and proper process on Maori issues. The National party has put forward its own legislation to create the Kermadec Ocean Sanctuary, a move which could drive a wedge between parties in the coalition government. Nelson MP Nick Smith has lodged a member’s bill to ban all mining and fishing over 620,000km/sq around the Kermadec Islands. The Greens have previously proposed such a sanctuary, but New Zealand First opposes it and any plans have been put on hold until a solution can be found. Dr Smith said he rejected suggestions he was stirring trouble. “It’s gotta be bigger than simply party political gains. The Green Party has cast doubt on suggestions it can be relied on to support National’s bill to create the Kermadec Ocean Sanctuary. Dr Smith said he was confident the proposed law would have the support to pass, with National’s 56 votes and the Green Party’s eight. “The Greens have indicated to me their support for any bill that would put the sanctuary in place,” he said. But a Green Party spokesperson said its MPs had yet to consider how they would vote on Dr Smith’s bill. The spokesperson said the party’s priority was for the government to progress the scheme, as noted in its confidence and supply deal with Labour. That agreement included a commitment to “use best endeavours and work alongside Māori” to establish the Kermadec Ocean Sanctuary. That could prove difficult though. New Zealand First has previously objected to the plan, saying it curtailed Māori fishing rights. And the government has put any legislation on hold until a resolution can be found that is satisfactory to all parties. The chances of the Member’s Bill being drawn from the ballot are normally slim. There are usually three drawn out of around sixty bills. But it could be different this term with National dominating Opposition. If they limit the number of bills submitted they will increase the odds of preferred bills being drawn. One of the people who attacked Nick Smith with rat poison has admitted doing it, but denies touching his face. Rose Renton, alsol known as a medical cannabis campaigner, and her husband were the two who accosted Smith, who lodged a complaint with the Police. A protester who rubbed rat poison on Nelson MP Nick Smith’s clothes says she was making a “symbolic statement” against the Brook Valley poison drop. Rose Renton confronted the Environment Minister near the Nelson Market on Saturday but denies shoving him or touching his face. Renton lives in the Brook Valley, but says she is not part of the Brook Valley Community Group, which has opposed the drop. She said she only wanted to make “a stand against the environment Mr Smith has poisoned”. “He is the Minister of our Environment, he did not attend The Brook poisoning unlike half our police force so my husband and I went to him,” Renton said. According to Smith the incident “became quite frightening when it escalated from verbal abuse and throwing rat poison at myself and volunteers to physical shoving and rubbing rat poison over my face and clothes”. “It was a complete violation of the wildlife and people living in the Valley. I wanted Mr Smith to see exactly what it feels like to have poison in your backyard. The Brook Waimarama Sanctuary want to create a predator free area for native wildlife in the Brook Valley near Nelson, along similar lines to Zealandia in Wellington. It says the poison drop was a necessary step in creating a predator-free zone behind the fence. Renton says she doesn’t regret what she did, and says there was no risk to Smith. Whether there was any actual risk or not physically accosting MPs in protest over anything is crossing a line, and she should be held to account under law. Poisonous politics seems to be a thing in Nelson. A controversial poison drop in Nelson has turned nasty, with three arrests and a helicopter’s fuel supply sabotaged. Sabotaging a helicopter is very nasty, and potentially (human) life threatening. Two helicopters and 75 people are involved in the first of three planned drops at the Brook Waimarama Sanctuary, near Nelson. They are spreading bait laced with brodifacoum, a common rodent poison that is toxic to humans and animals. The operation aims to eradicate all rodents from within a 14-kilometre pest-proof fence that was completed last year at the 691-hectare sanctuary, to allow for the reintroduction of native wildlife. Wildlife sanctuaries tend to be quite popular and are viewed positively, as is eradicating introduced pests. Nelson MP and Environment Minister Nick Smith says he has laid a complaint with police after rat poison was rubbed in his face and his family was threatened. Smith said he was not harmed by the incident, which happened about 11am on Saturday at the Nelson Market. The incident came as the first of three planned drops of bait laced with brodifacoum got under way at the Brook Waimarama Sanctuary, near Nelson. Smith said a man and a woman protesting over the operation threw poison at him. “The situation became quite frightening when it escalated from verbal abuse and throwing rat poison at myself and volunteers to physical shoving and rubbing rat poison over my face and clothes,” he said. It was at that point, police were called and the pair walked away “but continued threats to poison myself and my family”. “You get a bit of lip; that goes with the turf but this went too far,” he said. Throwing poison and threatening MPs and their families is extreme protest that warrants severe penalties and deterrence. The Green Party is launching their election campaign in Nelson. They recently announced they would be campaigning to win that electorate, a different direction for them as they have solely sought the party vote in recent elections. The Green Party is to launch its election campaign in Nelson on Sunday as it attempts to unseat long-time Nelson MP and National Party Minister Nick Smith. Nelson City councillor Matt Lawrey is the Green’s candidate for Nelson and said the decision to hold the nationwide launch here provided a “huge boost” to his campaign. “I think we have a chance of winning,” he said. Even if Labour encouraged voters to go green it looks a very long shot for Lawrey. Lawrey said he believed part of the attraction was that he was running a strong “two-tick campaign” for the seat and the party vote. He is No. 21 on the party list. “I believe I have got a chance of winning [the seat] because every day, all sorts of people tell me they think it’s time for a change. Greens haven’t been attracted to two-tick campaigning for a decade so it is an interesting change. The top 20 candidates on the Green Party list including co-leaders Metiria Turei and James Shaw are scheduled to join Lawrey and West Coast-Tasman electorate hopeful Kate Fulton at the launch on Sunday afternoon at the Trafalgar Centre. The launch is scheduled to be held from 1pm to 3pm. Possibly not coincidentally the Greens were bequeathed a substantial amount on the condition it be used in the Nelson and West Coast-Tasman electorates. I am interesting in whether the Greens will actively contest more electorates. Of special interest will be Metiria Turei’s approach in Te Tai Tonga, the southern Maori electorate that she is switching to.